LOS ANGELES (Jan. 28, 2017) — Riz Ahmed, Viola Davis, Michelle Dockery, Kathryn Hahn, Salma Hayek, Jonah Hill, Kate Hudson, Nicole Kidman, Ashton Kutcher, John Legend, James Marsden, Gina Rodriguez and Denzel Washington will be presenters at the 23rd Annual Screen Actors Guild Awards®, Executive Producer Kathy Connell announced today. These highly esteemed actors join a growing roster of peers who will honor their colleagues at the SAG Awards® Ceremony, a noteworthy assemblage that already includes Casey Affleck, Mahershala Ali, Millie Bobby Brown, Sophia Bush, Gabrielle Carteris, Common, Naomie Harris, Lucas Hedges, Taraji P. Henson, Rashida Jones, Brie Larson, Gaten Matarazzo, Caleb McLaughlin, Janelle Monáe, Viggo Mortensen, Alia Shawkat, Octavia Spencer, Finn Wolfhard and Steven Yeun, along with Life Achievement Award presenters Jane Fonda and Dolly Parton.  The 23rd Annual Screen Actors Guild Awards® will be simulcast live on TNT and TBS on Sunday, Jan. 29, 2017 at 8 p.m. (ET)/5 p.m. (PT). Viola Davis has received four Actors® and a total of eight nominations, two of which are this year for Fences: Female Actor in a Supporting Role and as a member of the cast. She previously was honored as the leading actor and as a cast member in The Help (2012), and twice for her leading role in How to Get Away with Murder (2016, 2015). Her previous two nominations were for her supporting role and cast member of Doubt (2008). Michelle Dockery has been presented with The Actor® three times for her portrayal of Lady Mary Crawley in Downton Abbey (Ensemble in a Drama Series 2016, 2015, 2013). She also received an individual nomination for the role and two additional nominations for the ensemble. She currently stars as the central character Letty Raines in TNT's Good Behavior. Jonah Hill received a SAG Award nomination for his supporting role in Moneyball(2011). He recently was seen in War Dogs (2016) and heard in the animated Sausage Party (2016), on which he also served as writer and executive producer. John Legend plays Keith in La La Land, which he also executive produced. The movie’s lead actors, Ryan Gosling and Emma Stone, are both nominated to take home an Actor®. Legend is also a musician with multiple Grammy Awards®, NAACP Image Awards and an Oscar®. Denzel Washington joins the exclusive roster of actors simultaneously nominated in two Outstanding Performance categories for Fences: Male Actor in a Leading Role and Cast in a Motion Picture. He has three previous nominations as lead actor, for Flight, Training Day and The Hurricane. In addition, he was in consideration for The Actor® as a cast member of American Gangster. Prior to the televised ceremony, honorees for outstanding television and film stunt ensemble action performances will be announced from the red carpet during the People, EW & TNT's SAG Awards® Red Carpet Live pre-show which will stream simultaneously on sagawards.tntdrama.com, sagawards.org, the People/Entertainment Weekly Network (People.com/PEN), EW.com, InStyle.com, Essence.com, and Time.com beginning at 5:30 p.m. (ET) / 2:30 p.m. (PT).